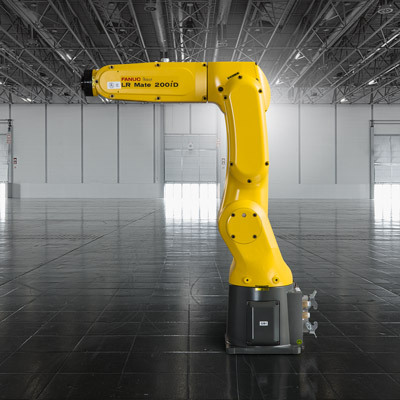 Available with different reaches and wrist speeds, this human-arm sized robot is your best compact solution for fast handling and processing parts up to 7 kg across a whole range of industries including food or metal. 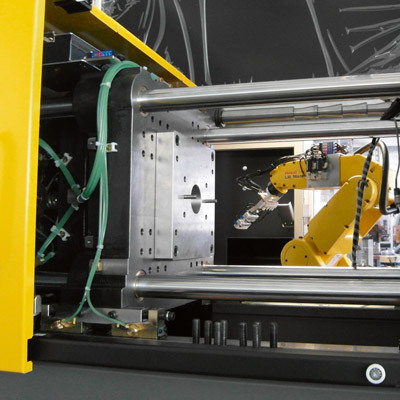 Featuring optional integrated intelligent (vision & force) functionality for even higher levels of accuracy and productivity, LR Mate handling robots also come with special equipment for welding, painting, clean room. This compact multi-function robot offers you full flexibility thanks to floor, ceiling, wall and angle mounting. 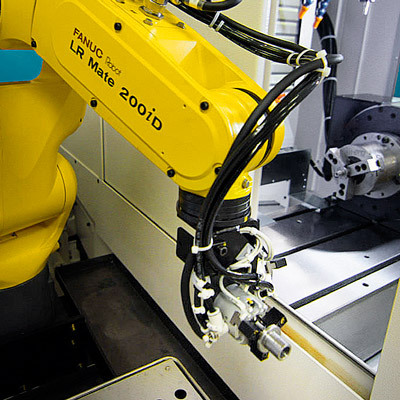 With its compact design and sealed mechanical units (IP67) you can even integrate it directly into your machine tool. LR Mate 200iD models are available with reaches up to 911 mm, a max. load capacity of 7 kg and a calculated TCP speed of max. 11 metres/sec. 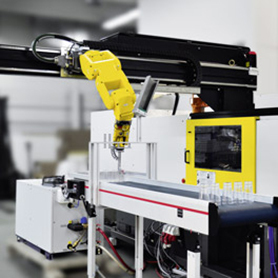 LR Mate's powerful servo motors and very rigid arm deliver high acceleration and short cycle times, providing users with improved productivity rates. 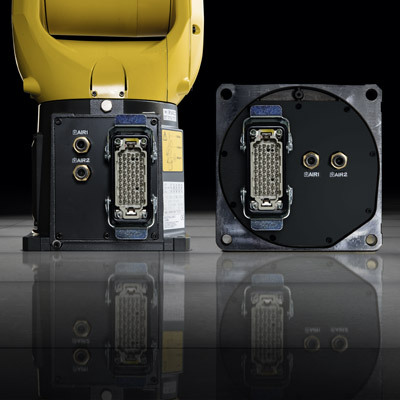 Connectors on axis J3 provide increased system flexibility, internal cable routing more reliability and performance. 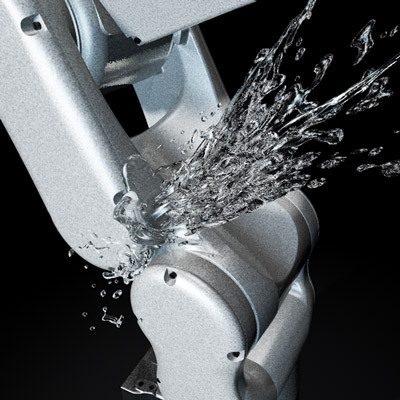 LR Mate's mechanical unit is delivered completely water and dustproof as standard. 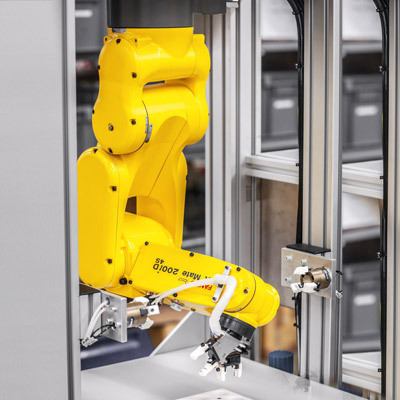 The solution for reduced cycle times, more flexible cell designs, full work envelope in upside down mounting and the ability to run several robots close together. 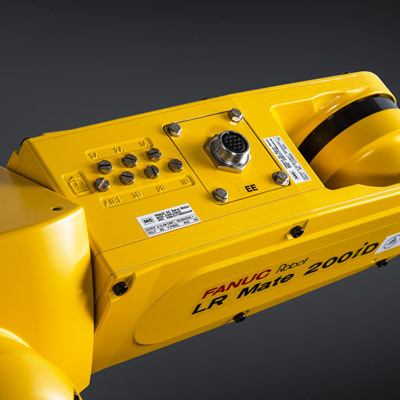 LR Mate saves you time, with Robot connections provided on the underside of axis 1 to ensure minimal interference with peripheral devices.